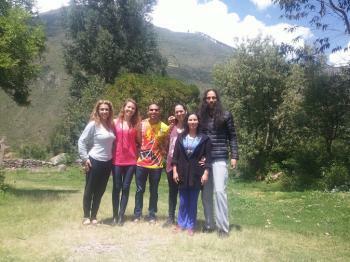 Ayahuasca Retreats in the Sacred Valley in Cusco, Peru, in the Sacred Valley. For us to guide an Ayahuasca Retreat is a big responsability where it is necessary a deep respect for all the participants. We believe it is very important in the Ayahuasca Retreats to give confidence, security and personal assistance all the time. According to our experience we have learned that we cannot work with too many persons in a ceremony or in a retreat, because in the ceremony we need to support to every participant, we need to take care of the process of everyone, to be able to support or help when it is necessary, and if there are too many persons in the ceremony, it is not possible to do it. The Ayahuasca Retreats include a therapy for integration of the experience, it is based on a personal conversation to talk about all the contents coming for your deep mind during your experience in the ayahuasca ceremony. The intention is to understand how we will be able to integrate this experience to the daily life to use it as a tool for our own development. So during the retreat we need enough time to talk deeply with every participant every day after the ceremonies, to do what we need to work with a small group of persons. We also talk with all the participants together. The group receives detailed instructions on how the entire ayahuasca retreat will be and information on how the ayahuasca ceremony is. We explain in detail what shamanic technique we use during the process, what are effects that you should expect from ayahuasca medicine, since ayahuasca has many ways of acting in the body and in the psyche, that is, there are different types of experiences, different ways to feel the healing power of the Teacher Plant, so it is necessary to explain what are the possible effects that you might feel during your experience. We also explain how it is better to face the experience and the non-ordinary state of consciousness, we explain some techniques that you can use during the process with ayahuasca medicine. Our job is to take care of each one of the participants throughout all the healing process. During the time you will be in Sapan Inka retreat house, you will have time to be alone, meditate and reflect on the details of your experience. 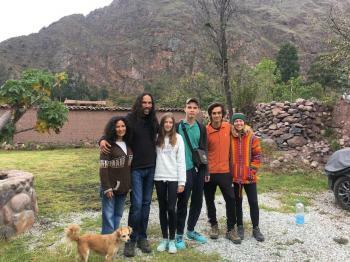 It is possible to walk around the house and to enjoy contact with nature: the river, the trees, the mountains, the birds and the pure air of the Sacred Valley of the Incas. One day after the ayahuasca ceremony, it is necessary to talk personally, in private, with every participant. We call this process: psychointegration of the experience. We have a deep interview, in which you can describe in detail all your experience, and the process guide can help you to translate and to make a speech about your own experience. During the conversation the guide will guide you by giving you psychological tools that will allow you to discover the symbolic meaning of your own experience, and so you can understand the sensations, perceptions, emotions and thoughts experienced during the ceremony with ayahuasca medicine. One day after each ceremony we have a private conversation with each participant. And during the last interview we give you advice on how you can face the return to your daily life and how you can continue working on your own healing process. On the other hand we work in our house, which is not exactly a retreat center, it is mainly our home, where we share with the participants what we know and what we have. In the retreat we try all possible to have a close connection with the persons and we consider to the participants as our brothers and sisters. We are sharing and exchanging. We try to give the best from ourselves.